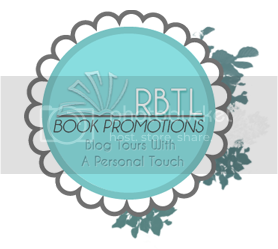 Geas Publishing is proud to present the House Millar series Scavenger Hunt & Book Tour. Some of my favourite blogs have come together to hunt to all the items on the scavenger hunt list. 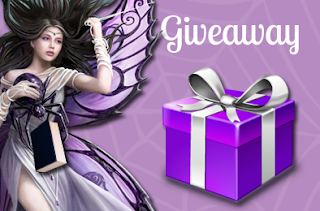 At the end of the hunt you will have 25 items to enter into the Rafflecopter. So, enjoy, hunt along with the various posts, and have fun. Best wishes to all! 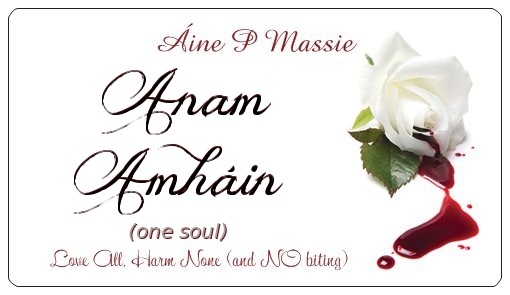 I would love to welcome the lovely Áine to the blog today. 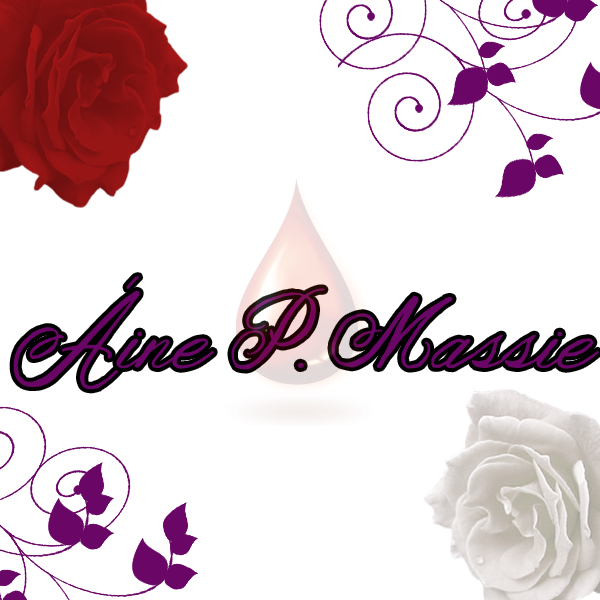 Áine thank you for stopping by and sharing a little bit about yourself with us. Thanks, Anna! 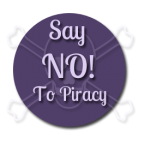 I just love your site (I have a thing for purple and fairies, lol). Sure. 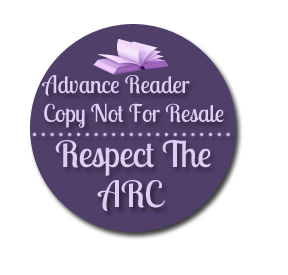 I am originally from Florida, but now live in Wisconsin where I work on my House Millar series full time while raising four children (ages almost 17 to 4 ½). My major in College was Childhood Education (specializing in ages 0-5) with a minor study in Deaf Culture/ASL. I am also a Wiccan priestess dedicated to the gods, family, and love. I am a proud member of the Rom-Critters and a life-long reader. I’ve always had a particular fascination with vampires, mythology, and the unusual, ergo, why I write PNR. I have written since I was in school but I didn’t start writing with the goal of publishing a book until 2010. 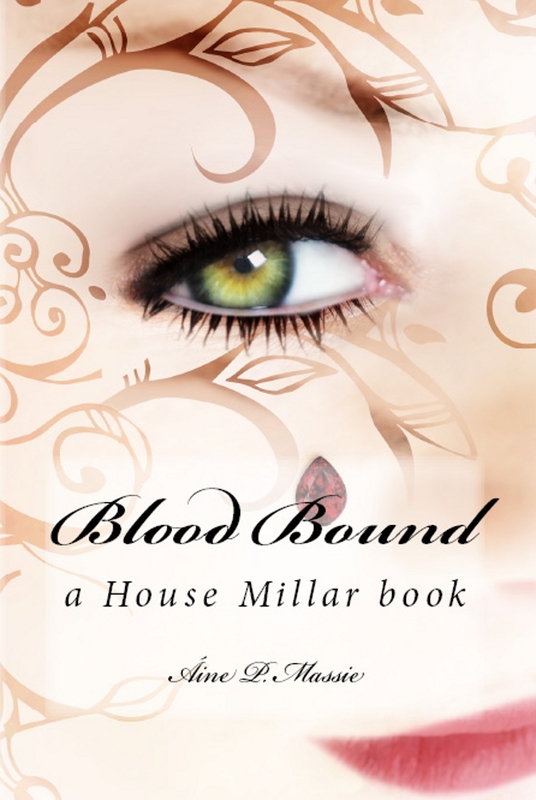 “Blood’s Voice” was my first completed novel and was published June 1st 2011. Everywhere. My kids, my imagination, movies, other books, RPG games I play/ed (that’s where Anya was born in fact). So many things can bring about an idea or writing spark, you just have to pay attention and allow yourself to explore them when they hit. I tried the whole outline thing, but my characters always hijack the writing so I gave up and let them dictate the story now. Is there any particular author or book that influenced you in anyway either growing up or as an adult? Oh yeah. Shakespeare, Poe, Rice, Mead, Grey and more influenced me. I love reading, always have, and those are some of my most beloved authors. Dracula and Interview With A Vampire have to be two of my favourite books so it’s not surprise that I write paranormal stories, right? My challenges were more in the field of learning how to format for print, epub, mobi, etc since I’m a self-pub’d author under the publishing name of Geas Publishing. Formatting is much harder and more time consuming than I ever thought it would be. Now that I know what I’m doing, it’s much easier/faster, but at first? Killer. Are there certain characters you would like to go back to, or is there a theme or idea you would love to work with? Oh definitely! But, the nice thing with how I’m writing the House Millar series is that I don’t have to worry about not going on a tangent if I want... I simply wait and work it in next. In fact, the next book in the series (next two actually) will be novellas following Lord Lorccán, whom you meet in Blood Bound. I loved his character so much and wanted to explore more with him so I decided to write my tangents, in this case, it will also allow me to reveal more about Anya and why she is so unique, even for an aberrant vampire. Have you ever written a character who resembles your personality or the personality of someone close to you? Yes. Most of my main characters have traits of people I know, but Declán would be the closest. I wanted to be an architect, was even accepted into college to study when I was younger. I also use a lot of the terms he does, including parentals as my mother pointed out. I was never into combat or kickboxing like Dec, but I tend to take people at face value and, I hope, am as open minded as he. What, exactly, is free time? I have children... I write... between all that I sneak in reading, my faith, stone work, even games with the kids sometimes—though that goes back to having kids as I believe a parent has to be interactive with their kids. Monopoly, Go Fish, Rummy, Simon Says, etc are fun for everyone and teach important things at the same time ;) Gotta love games that multitask, lol. All authors react differently to bad reviews how do you handle a negative review? Honestly? I tend to mope. I know it’s not very mature but when you spend months (or more) slaving to bring a story to life, to share the lives and events of your characters with others and then get negative feedback, it can be hard... especially with the negative is hostile or belittling. I know some authors ignore it while others cry, but I tend to mope, vent, and then get back to work. Not everyone will love my characters, but then that’s true of everything. 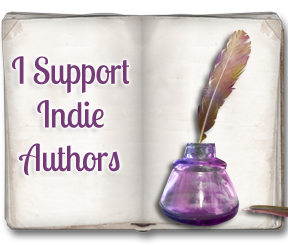 I write for me and for those that love my imaginary friends as much as I do. I use both but like Facebook better. Depends, really. I love the ease of eBooks and have a ton of them, but I also love the feel of a book in my hands. In most cases, I buy eBooks though as I can keep them all on my laptop (I have a bad habit of running out of bookshelf space otherwise). Mountains! I love the mountains, especially the Smokey Mountains. Were I grew up, beaches were no big, plus I don’t tolerate the sun well (sun poisoning, not vampiric lol), but the mountains were always something special. The air is clean, the sounds so peaceful, and I loved exploring the trails when I could still walk well enough. Depends on what the topic/activity is ;) Seriously though, I love spontaneity but with kids and being disabled, planning is a kind of must for real life. I take the exact opposite mentality when writing though, as even when I try to plan, my characters tend to hijack my writings and go when they darn well feel like. So… a bit of both makes life fun! What's better than one giveaway two. 2 is always better than 1 so make sure to fill out both rafflecopters below. I like vampire books. I like that vampires are immortal.